These past 4 weeks have been a lot of fun for me, as Master Trainer and Dean of Findability University, I not only help businesses become “Findable” but I also show them ways to take the next steps after being Findable. One of these ways and one of the most fun things I do besides public speaking is interviewing the best and brightest in their fields and bring them to you via my podcast page. In the month of August I will be sharing one of my podcasts a week, in the hopes that I may just inspire you to take that leap and do your own podcast, here are the links to my blog posts on podcasting, in case you missed them. 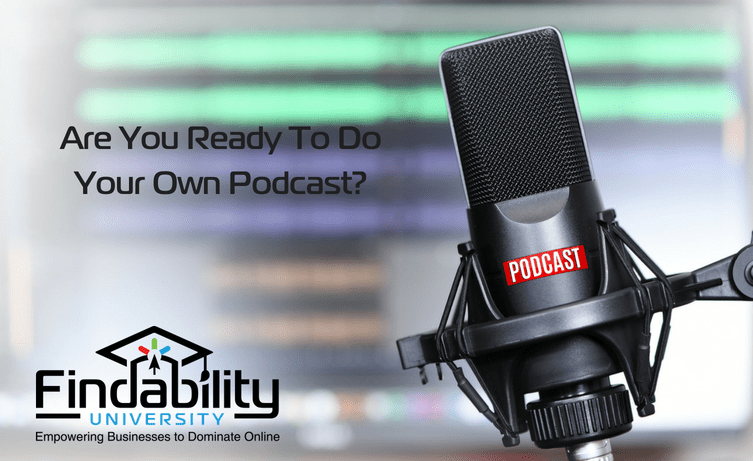 You can use all the information in these blog posts to start making those podcasts and who knows maybe one day you will be interviewing me. And why you should be doing a podcast. I hope this series of blogs helped you take the reins and will help you take your business to the next level, now go out there and get those guests! I can’t wait to see what you create.